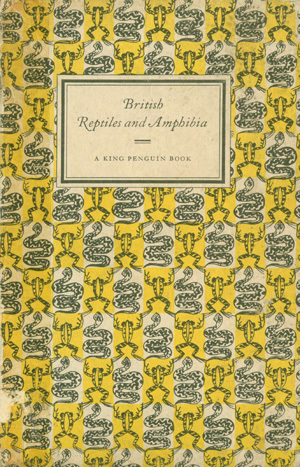 1949 British Reptiles and Amphibia Malcolm Arthur Smith Not to be confused with his later 1951 work, this slim book by Malcolm Smith is practical and straight to the point. Less than a page is reserved for each species covered, and the full-colour illustrated plates by Chadwick Paxton make this small book quite a special posession. 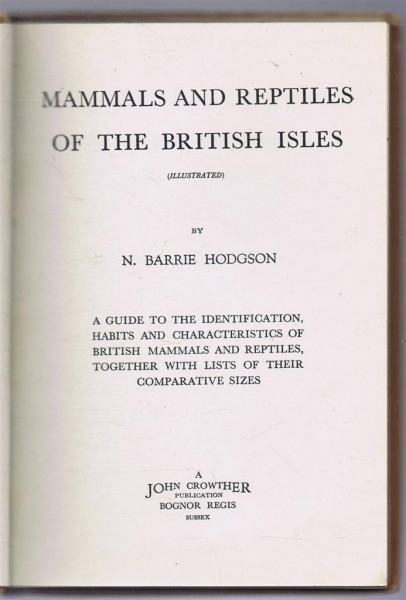 1941 Mammals and Reptiles of the British Isles N. Barrie Hodgson The most interesting aspect of this book is that it conforms to British wartime economy standards. Unfortunately, this economy extends to the quailty of the text. Each species has only a paragraph, or at most a page desribing its ecology. The illustrations of herpeta are embarassing, even to the reader and wholly not useful. Worth a miss. 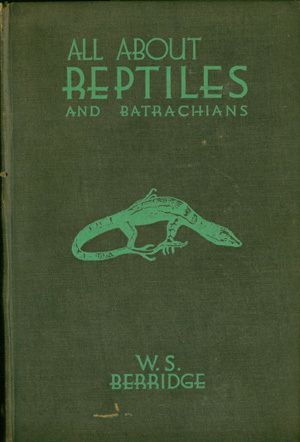 1935 All About Reptiles and Batrachians W.S. 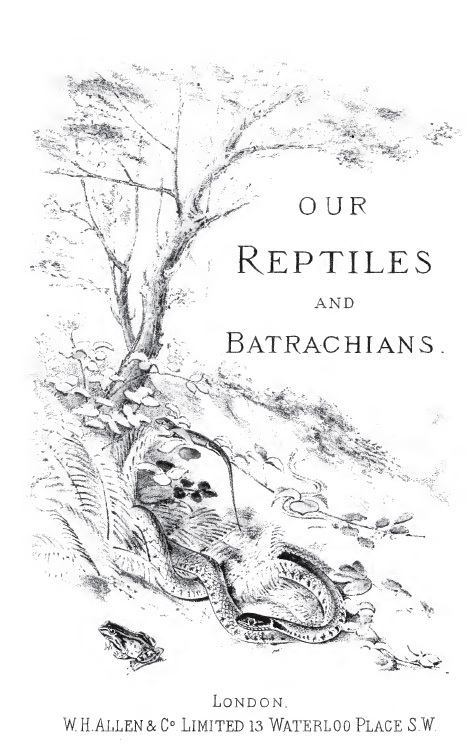 Berridge Although this volume covers world-wide reptile and amphibian species, there are chapters dedicated to the British groups. The strength of this book is its anecdotal references, including the issue of "Do female Vipers protect their young by slwallowing them? ", an interesting page!. More than 400 monochrome phoptographs taken by the author. Not a detailed work, but one which is interesting to dip into. 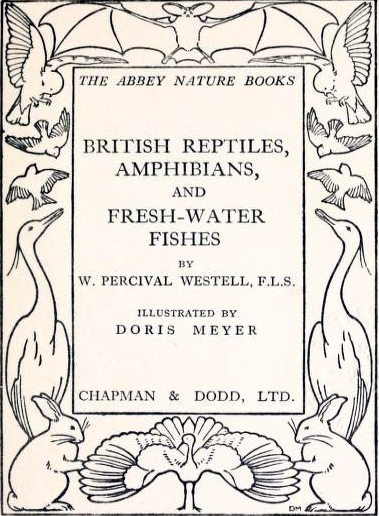 1930 British Reptiles, Amphibians, and Fresh-Water Fishes William Percival Westell The Abbey Nature Books: London: Chapman & Dodd, Ltd. ix 113 pp, c. 1930. Illustrations by Doris Meyer. This book is short on detail, but has beautiful flowing narative and covers the basic facts for the native species. It also briefly covers the Green lizard, Wall lizard and Edible frog. The book is a particularly good reference for archaic common-names. Facts are drawn heavily from Leighton's work, but simplified greatly. 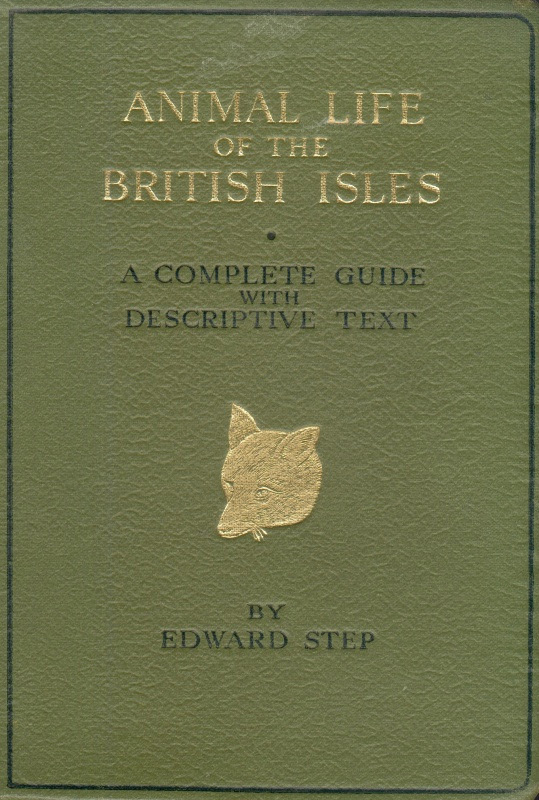 1921 Animal life of the British Isles Edward Step A volume of the Wayside and Woodland series. The text is easy-flowing and comprehensive. This book is a particularly good source for archaic and local names for herpeta species. It is illustrated by a mixture of monochrome photographs and adequate colour plates. 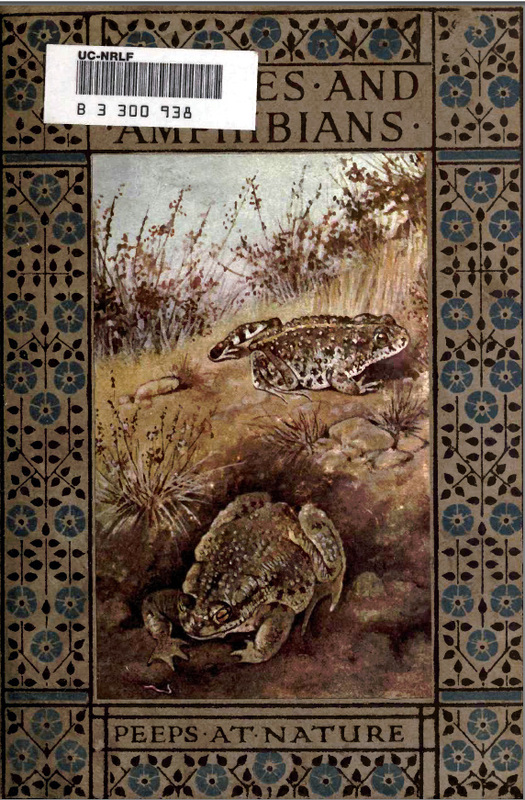 The text covers all native herpeta species, and the Edible frog (which is confused with the Pool frog). Passing mention is made of the Wall lizards and Green lizards of the Channel islands. 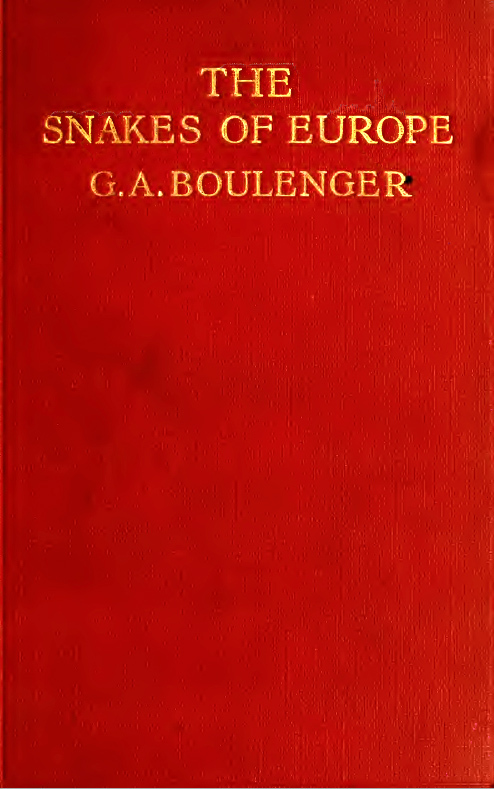 1913 The Snakes of Europe G A Boulenger A comprehensive text with superb details on scalation. Excellent, clear line drawings of morphology but again particularly dealing with scalation. Distribution is dealt with on a by coutry basis and appears to be complete. 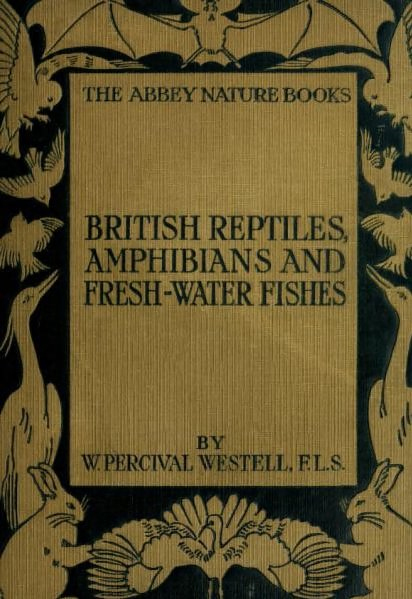 1913 British reptiles and amphibians Alexander Nicol Simpson This book is volume 11 of the "Peeps at Nature" series. The book has a charming mixture of facts concerning the species and a running narative of personal experiences. This volume covers all native species of terrestrial herpeta and includes sections on the Green lizard, Wall lizard and Edible frog. Turtles are also covered as is passing reference to taxonomy and fossils. The Agile frog is omitted. Illustrations comprise monochrome photography and beautifully drawn colour plates. The book is a surprisingly modern read for such a historic text. 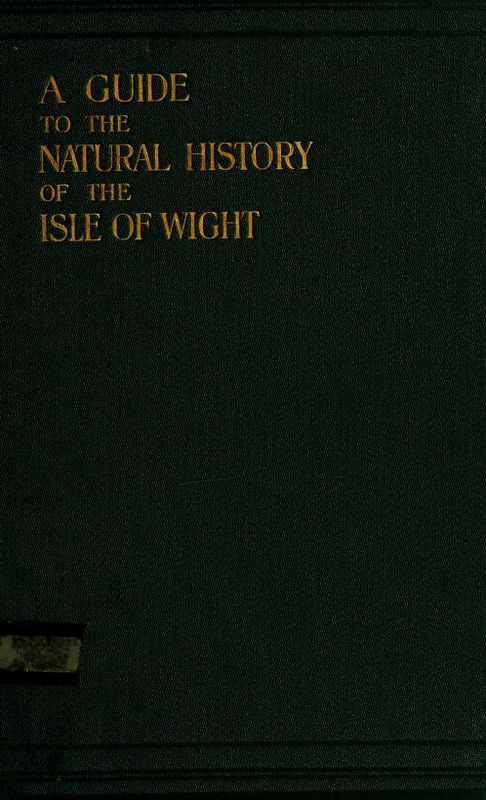 1909 A guide to the natural history of the Isle of Wight Frank Morey A collection of chapters, written by local experts, concerning the natral history of the Isle. 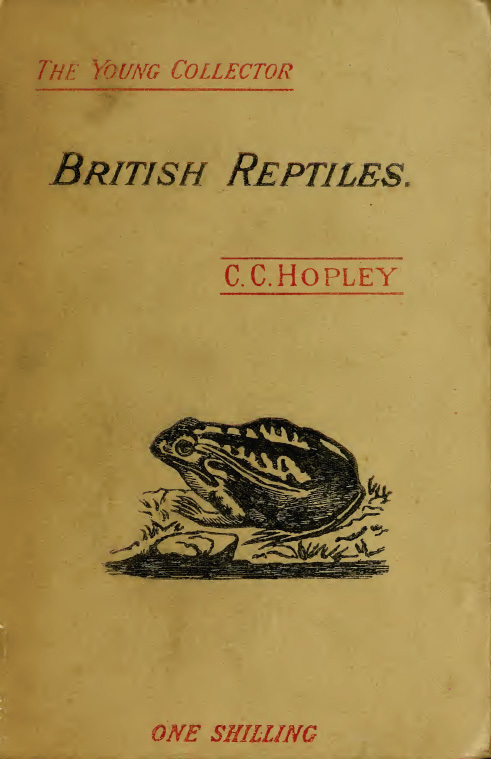 Two short chapters describe the Amphibians and Reptiles of the Island. Introductions of Green lizards, Pond terrapins and Tree frogs are covered. 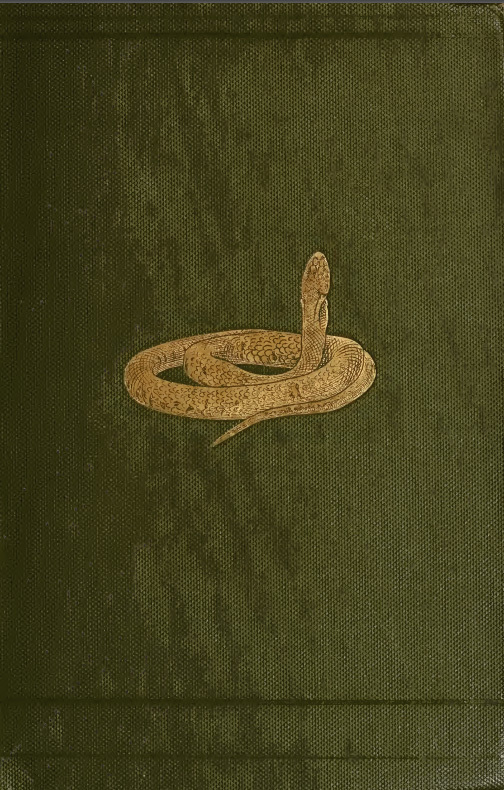 A Concise Description of the Life-History of the Adder or Viper, the Ring Snake or Grass Snake, and the Smooth Snake, together with their Distribution in all the Counties. The Lancet.— "Dr. Leighton is an expert, and any ordinary person who digests the book before us will have a greater knowledge of snakes than he ever had before." Manchester City News.— "Dr. Gerald Leighton's book is the first really worthy treatise on the subject." The Outlook.— "Those who would know all about English Snakes, their habits and distribution, cannot do better than read Dr. Leighton's book." Morning Post.— "Dr. Leighton and his publishers may be congratulated on the production of a very fascinating and a very useful work." 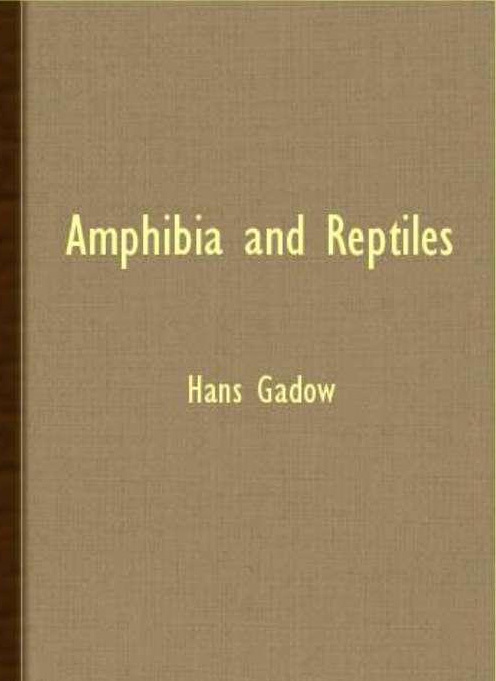 1901 Amphibia and Reptiles Hans Gadow A dry scientific treatise that covers a broad range of global reptiles and amphibians, with a focus upon anatomy. A dry read, but a useful insight to the knowledge of the day. 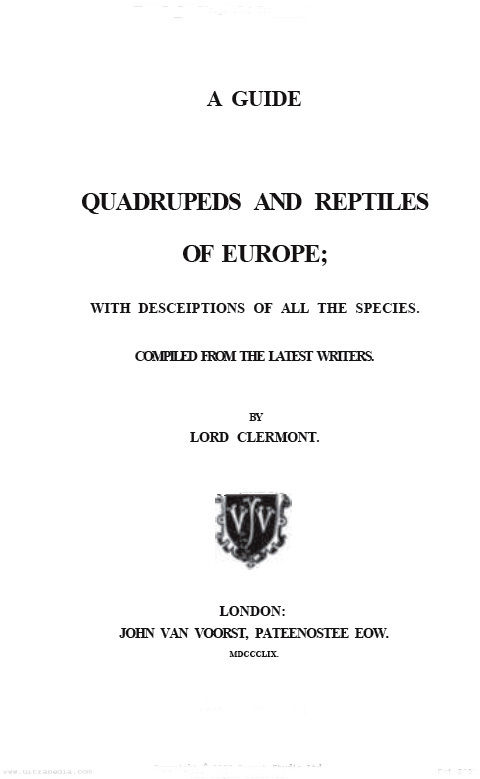 1859 Quadrupeds and Reptiles of Europe (Lord) Baron Thomas Fortescue Clermont A very dry and scientific text, dealing predominantly with the identification of reptile species by scalation and dsitribution. 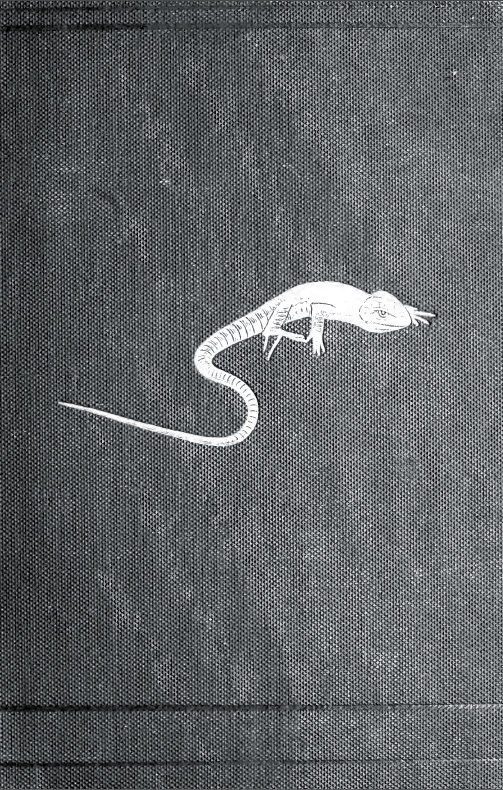 The reptile section of the book draws heavily upon "Erpe'tologie Generate". Not illustrated. Of marginal value as an early European text, but probably worth a miss in the rich textual context of other works of the same period. 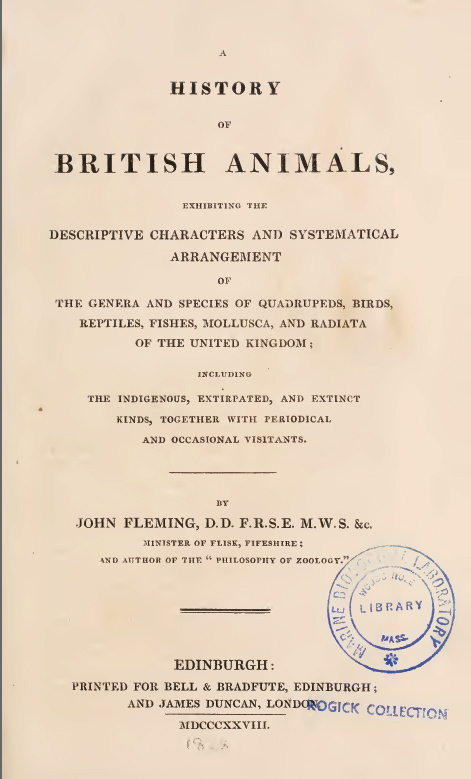 1828 A History of British Animals John Fleming Not very many pages covering reptiles and amphibians, and no illustrations. Green lizard and Edible frog are included as native species. 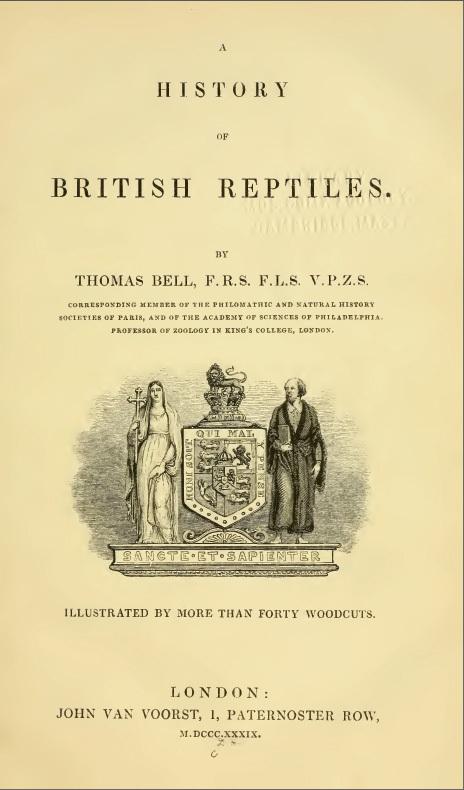 Interestingly, this is one of the first texts to discuss the possibility of the Smooth snake being a British native, which was not accepted as such until the 1850s. 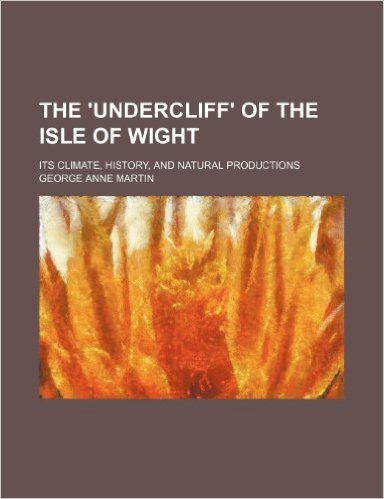 Additionally includes brief reference to herpeta fossils found in Britain. Interesting rather than informative for the herpetologist. 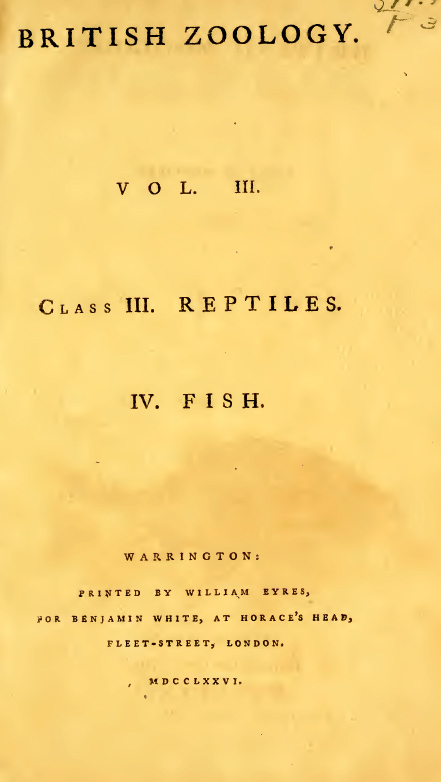 1776 British Zoology - Volume 3 Reptiles Thomas Pennant A wonderful read from an age where herpetology was in its infancy. Full of erroneous conclusions and archaic nomenclature, but illustrated with some excellent line drawings. The great crested newt is considered a terrestrial lizard, and the common lizard is assumed to be two separate species. All fascinating stuff! 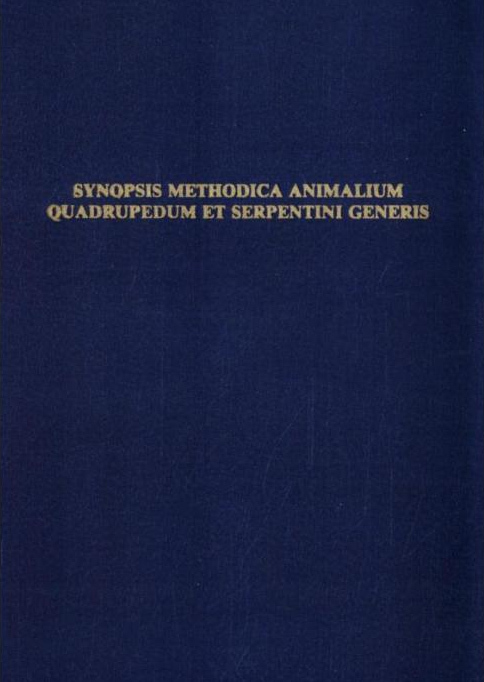 1693 Synopsis methodica animalium quadrupedum et serpentini generis John Ray How's your latin ?